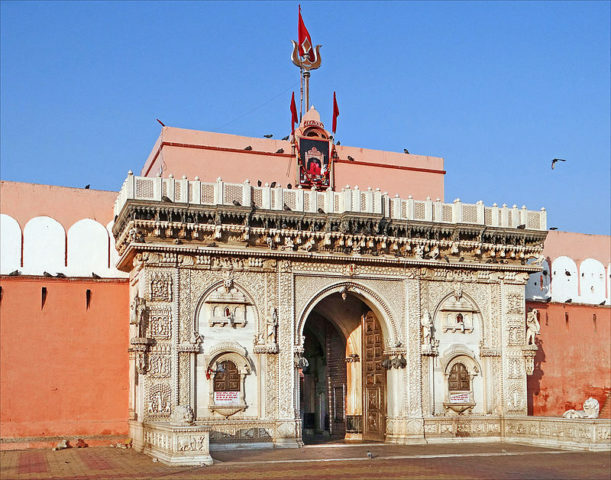 Karni Mata temple - Not for the faint hearted - Ghumakkar - Inspiring travel experiences. Nature worship is one of the oldest religious practices of mankind and makes for an important part of Hinduism. Animals being a part of nature have also occupied a special place in Hindu faith. Like cow, bull, owl, snake, lion, tiger, among many other animals, rats also take a significant space in religious beliefs. The Karni Mata Temple of Bikaner is a living example of such aspect of religion. This sacred place in Deshnoke, Bikaner is the only temple in the country where locals worship rats. As strange as it may sound, this holy temple houses 25000 rats that are worshipped with utmost divinity. Also called the Temple of Rats, this place is dedicated to Karni Mata, the local presiding deity. The rats, however, are the main reason that invites pilgrims and curious travelers from all around the country and abroad to come and witness this unconventional place. While you would also see idols of gods and goddesses in this temple, the huge population of black rats are the main residents of this place. Also called Kabba, these rats are considered to be the messengers of good omen and every day, at least thousands of devotees come to seek their blessings. The Karni Mata Temple is located in Deshnoke, about 30 Km from Binaker. If you are already in Bikaner, then book a highly rated online cab service provider for a tour to Deshnoke. A local legend says that Laxman, the son of Karni Mata (the local goddess) once attempted to drink water from the nearby Kapil Sarovar, and accidentally drowned in the pond. The heartbroken mother then pleaded to Yama- the god of death to resuscitate her son. After initial refusals, Yama agreed to revive Laxman and other sons of Karni Mata on the condition that they will be reincarnated as rats. Although you will see mostly black rats roaming around the temple premise and feeding on the offerings, there are a few white rats which are rare to spot. And once you spot one, it is believed to be a good omen and an onset of good luck. These scarce white rats of the temple are regarded as the manifestations of Karni Mata herself and her four sons. So, whenever devotees spot one, they try their best to bring them forth and allure them with offerings of sweets. The leftover foods of these rats are distributed as ‘prasad’ and considered to be a huge blessing. Because the rats are the presiding deities of the temple, they are worshipped regularly with proper rituals and pujas. If a rat ever dies or is accidentally killed, then it is replaced with an idol of a rat made in solid silver. Besides the religious significance, the Karni Mata Temple is also a significant piece of art. Built in the late 19th century and finished in the early 20th century, under the patronage of Maharaja Ganga Singh of Bikaner, the temple architecture reflects the Mughal style of artistry. The beautiful marble façade holds solid silver doors with detailed carving and panels that depict local mythological legends. The inner sanctum enshrines the idol of the goddess. The village of Deshnoke holds the Karni Mata Fair twice a year. The first one of the year is held from March to April and is the more significant one with celebrations of Navratri, Chaitra Shukla Dashami etc. The second fair is held from September to October, and also celebrates the Navratri of that month and the Ashwin Shukla Dashami. If you are in or near Udaipur, it is recommended to book an affordable taxi service from Udaipur with well maintained cars and trained drivers. Religion is indeed the most intriguing thing about human life and encompasses aspects that are beyond the comprehension of everyone. For all things known and unknown, the Karni Mata Temple surely makes for a visit. But be warned, for this isn’t a place for the faint-hearted. 2	Chitra Pandey	Haridwar – A gateway to heaven.. Thanks Sanjoy for your complement. Hopefully, the 2nd part will be here at Ghumakkar shortly. The tour description is so beautiful that it feels like I am there! Waiting for the second part. Many thanks Bhaskar for your appreciation and encouragement. This will encourage me to nourish Part-II of the present series in a great way. 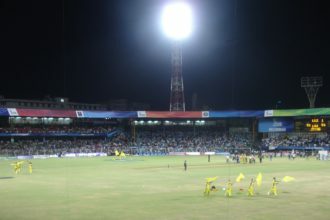 While cricket is a big sport throughout India and the aforementioned Indian Derby and other races draw significant crowds for horse racing, football remains immensely popular. This is true in most of the world, and India and Mumbai specifically are not exceptions.